After concerns were raised earlier this year about water levels, current figures show that water storage across the country is on average at 72.4% of capacity. In total 40591 cubic hectometres of water are contained within the nations reservoirs. However some regions have low supplies. 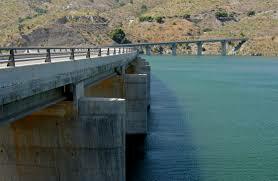 Storage facilities in Segura and Júcar reservoirs are currently well below 40% of total capacity. The heavy rains in regions across the country at the weekend also increased the volumes in reserve by 0.5% by 304 cubic hectometres.